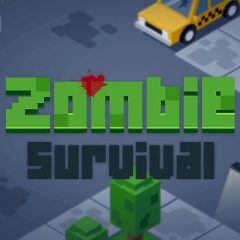 You are alone in this zombie apocalypse and must survive a day. Kill all zombies and have fun. Have you ever wanted to be alone during the zombie apocalypse? Test your surviving abilities to see if you can make it through at least one day.